This month a whole new series of Anchor Stones is introduced. 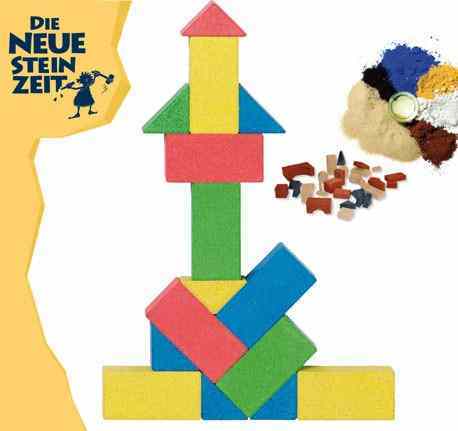 The series The New Stone Era (Die Neue Steinzeit) consists of two types of sets. Both of them are intended to appeal to young children -- or more accurately their parents. building with the NF stones, the sets are quite similar to wooden block sets. So why not buy a cheaper wooden block set? For all of the same reasons that make Anchor stone building sets are better than wooden block building sets. To the best of my knowledge, these sets are not (yet) available in the USA. For the month of May, 2011.